Quonset Business Park has public bus service provided by the Rhode Island Public Transportation Authority (RIPTA). Currently, service to the Park comes via bus route 14-West Bay outbound/inbound Providence to Newport/ Narragansett. The bus service makes its stops within the Business Park in front of the BankNewport branch on Gateway Road. The RIPTA website can provide additional details. 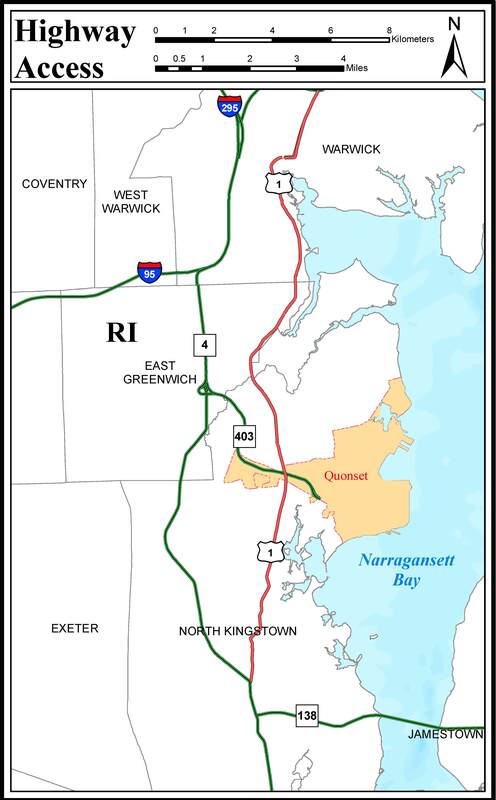 The Quonset Business Park offers convenient access to Interstate 95 (4 miles) via a 4-lane, limited-access Route 403 highway.